Travel plans need a breath of fresh air? Don’t settle for just any fresh air…..
It’s time for you to experience the best beach resort in Hua Hin. 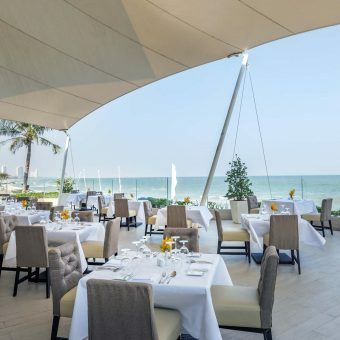 Novotel Hua Hin offers a large choice of international standard facilities, restaurants, and bars. 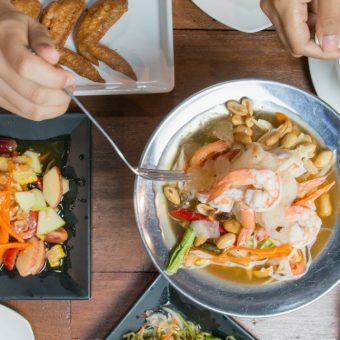 Book now until 13 May 2019 to get 20% off at Novotel Hua Hin Cha Am Beach Resort and Spa. To keep your little one busy all the day, there are water slides, bouncy castle and a large kids club offering daily activities. Relax at In Balance Spa or enjoy In Balance Fitness. Indulge in local and international cuisines at the beachfront restaurant Ocean Terrace or American food in Champions Sports Bar and Grill. Don’t miss the highest rooftop bar in Cha Am, the Gravity Sky Bar offers 360′ panoramic view of the Gulf of Thailand. It has become traditional for Hua Hin visitors to enjoy Hua Hin Beach in the morning and Hua Hin night market at night. Hua Hin Night market is a lively walking street located in the city center next to Hua Hin Railway station. You will find stands selling various apparel, handicrafts, local food, and souvenirs. Every day from 6.30 P.M. Build in 1923, Mrigadayavan Palace was the seaside palace of King RAMA6. The palace is made of golden teak and decorated in western architectural style. The palace is located on the coast of Cha-Am Beach facing the sea and surrounding by the tropical garden. Back to the atmosphere of living in the “good old days”: Plearnwan is one of the most famous attractions in Hua Hin. You will enjoy museum, restaurants, Thai coffee shop, and local souvenir shop.